Times have changed. Businesses today require online presence. People search everything on internet. Do you look for the reviews of a Restaurant before you pay a visit? Most of us do. How will MyOPD Help me build online presence? MyOPD will help you seek reviews from your clients so that you keep improving your online presence at a button’s click. 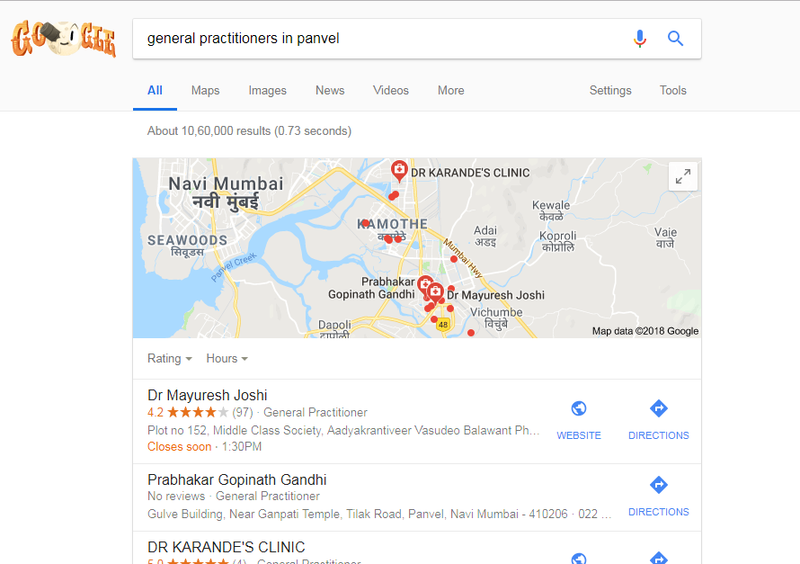 Here, Panvel is the city in which Dr. Mayuresh Joshi practices. Whether you get at the top of the list or not depends on Google. However, you can seek reviews from your patients and let Google do its own job. We will help you build your online reputation. However, before doing that, let us understand some theory behind it. When patients want to see you for their first visit, they would have surely Googled you. The big question is, do you score enough points when it comes to telling them who you are? If no, read on. We could help you. If yes, you can still read on to know a thing or two. Why Focus on the way Google Search shows us? It is quite evident that Majority of people search the web using Google search engine. Let’s have a look at how people have accessed MyOPD website in the month of April 2018. Google being all pervasive on Android and generalizing above data for the internet, we can safely assume it is the most used search engine people will use to know more about you. How will Google Show you? We have already seen one way how Google represents you when people search for skills like yours. 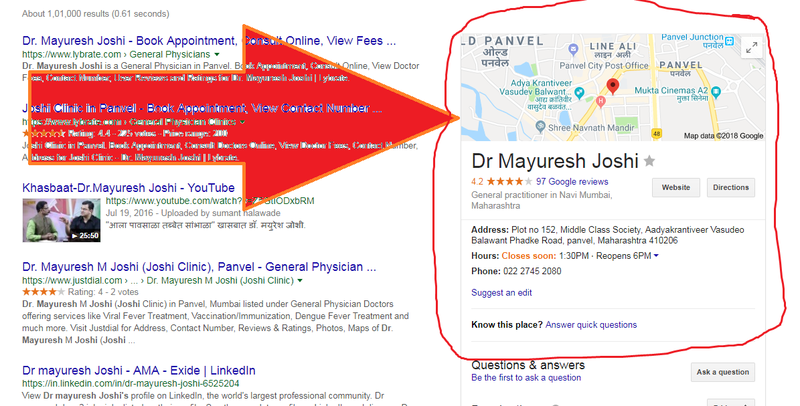 Additionally, When people search for the Doctor with the name of the Doctor, the details nicely show up in the Google Search engine as shown below. The 97 Google Reviews with a high review score of 4+ has a very positive impact on the viewer. Highlighted result shown by Google. This rich snippet has the correct details based about the clinic and other information. All this together form a compelling way to build a good brand by investing minimum time and money. So are you ready to build your online reputation? This entry was posted in Informative on May 4, 2018 by Team MyOPD.